Brew of The Day: SM Accessories Makes A Statement! 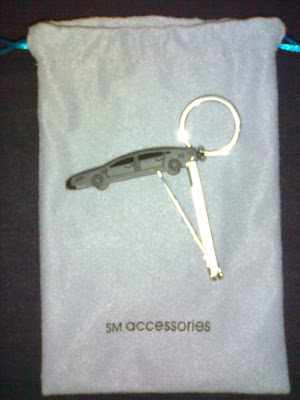 This week, SM officially launched SM ACCESSORIES: the authority in fashion accessories. Jen invited me to go with her to the launch but unfortunately due to an asthma attack, my health was in a fragile condition and opted to stay at home. In my behalf, Jen invited my sister Laura instead, and she went along with Jen to the SM Accessories Media Launch! I asked my sis how it was and she said that SM really made a statement with this star studded event! A lot of celebrities attended and even modeled the show like Tim Yap, Mariel Rodriguez, Cheska Garcia, Sam Pinto, Baron Geisler, and even some kids were in the fashion show! 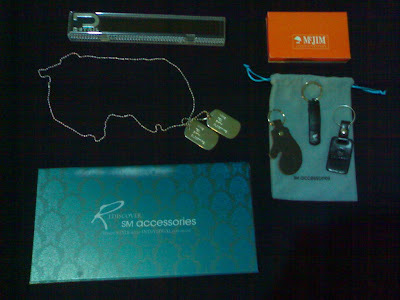 Of course besides the celebrities, the accessories took center stage being the spotlight of the event. Thanks JEN and LAURA for the photos! "First. SM ACCESSORIES is all about NOW: Our Ladies' Accessories reflect the latest trends in fashion hot off the runway, and fresh from the pages of the latest international magazines. Keeping up-to-date to what's chic and vogue are for us a must. SM Accessories is so RIGHT: We have all the right men's accessories that defy stereotypes yet fit perfectly with different lifestyles - from the corporate movers and shakers to the more creative, adventurous types who get a kick out of putting a link more style into their wardrobes. SM Accessories is all about FUN: Kids will definitely find something nice and stylish to fill their imaginations - from the fashion wonderland of Children's Accessories to the world of make-believe and playful adventure in the Character shop. SM Accessories is a cut ABOVE: For lovers of luxury brands, SM accessories is a one stop shop for more than 75 labels of luxury eyewear, watches and jewelry that live up to discriminating tastes of the well-established. And finally but most importantly, at the heart of SM Accessories is our esteemed shopper and valued partner: YOU! Because ultimately, it is the customer's style and satisfaction that drive us to excel and bring you only the best." For me, I have always adored accessories! Now with this new launch, shopping for accessories at SM Department Store will make my life easier. Can't wait to go to SM and do some accessory shopping! P.S. My sister brought home some stuff from the event! Thanks SM!